After completing work at the elementary and middle school buildings as the first two phases of a Master Plan, set into motion nearly 20 years ago, Tri-Valley CUSD #3 was faced with outdated high school facilities. The district was determined to align their facilities with the capabilities of its students at this Blue Ribbon High School. An extensive community engagement planning process identified and assisted in prioritizing needs; ensuring a successful plan. 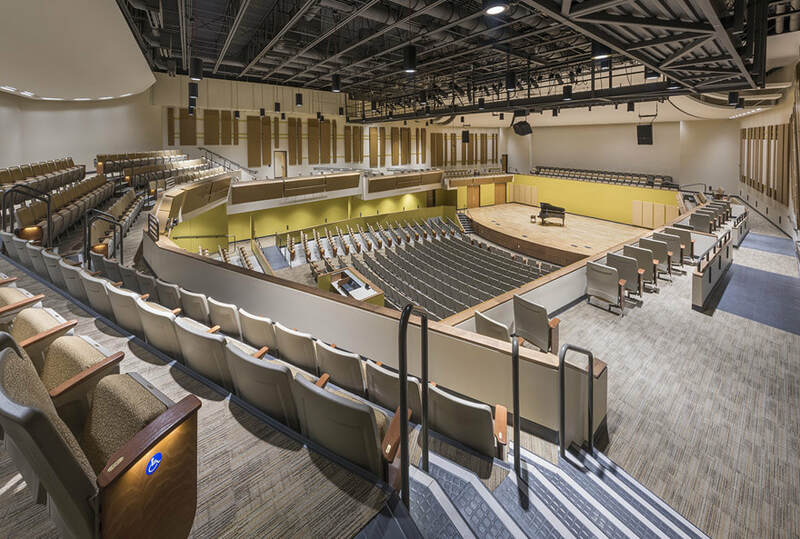 After passing that referendum with more than 80% approval, the project took aim at providing a learning environment fit for a future-focused education. 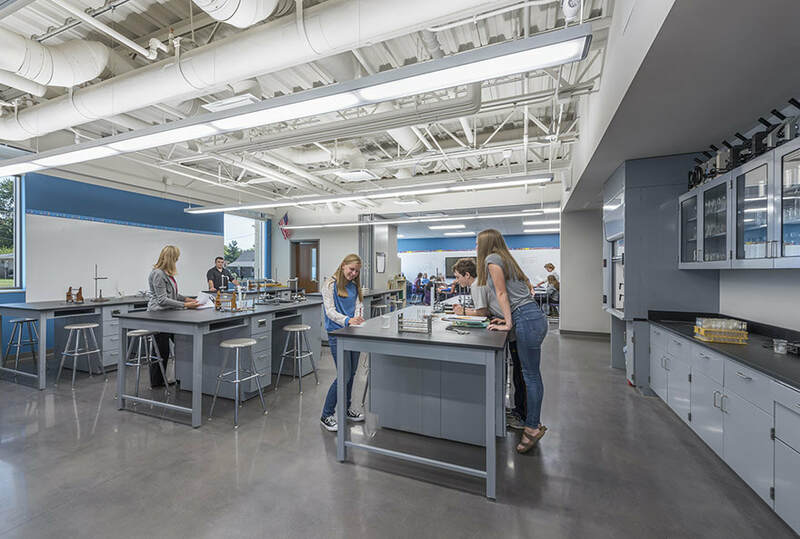 The reimagined environment will create a perimeter of learning spaces, exposing students to day-lit rooms with clear and easy access to support spaces. 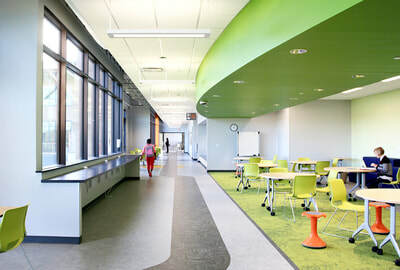 The organization of these areas, around a triad of break out spaces and a heart of shared learning spaces, supports the desire of students to collaborate and move. The collaboration hubs will create a series of social and learning opportunities in a variety of scales and environments. 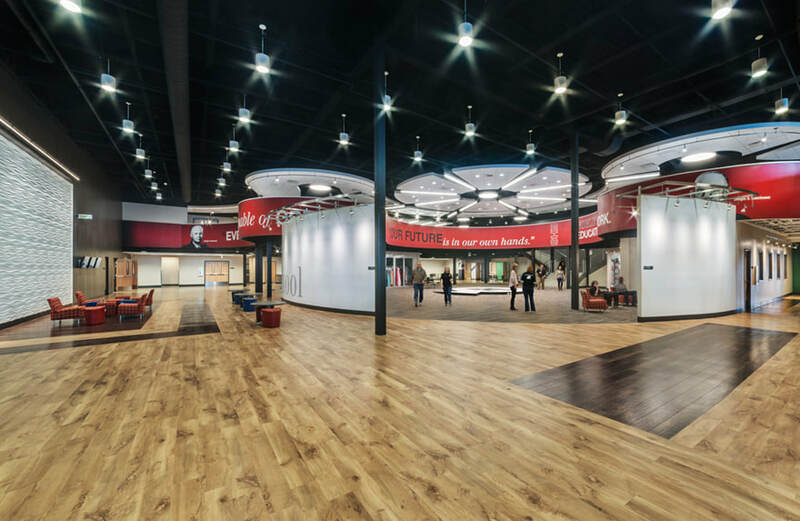 The design completely re-imagined the existing floor plan with 21st century learning environments, collaborative spaces, centralized spaces for technology and STEM, with a new focus on student interaction.